Lakeview Specialty Hospital & Rehab’s new website was created to provide a streamline overview of our services. At Lakeview we have many comprehensive programs housed in Waterford, WI and Westfield, WI. Our services include Hospital care, Out-patient services, and Residential programs. We hope that you find the information here that can get you started in your decision making process. We are always here and available to answer questions and provide tours. 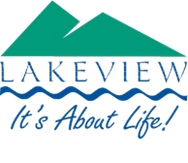 Lakeview is celebrating our 25th year of service and always strives to be a good partner with those we care for. We recently had a visitor return for a visit that stayed with us in the beginning and it was great to see him and be reminded of what is possible when recovering from a serious injury. We hope that our new format will enable us to continue to have these experiences- so please keep in touch with us! We know that there are a lot of decisions to be made after you or a loved one has experienced an illness or accident and we hope to be able to act a resource to help you through so that you can focus on recovery.